At a committee meeting a week later, the constitution and rules were passed and it appears that the club functioned until 1898 when it apparently went into recess. The club reformed for two seasons from 1926-28 then went into recess again until it was reconstituted at a meeting on 22nd January 1935, with support from the Motueka Amateur Athletic Club which was active at the time. Later in the year on the 5th June, the Nelson Amateur Harrier Club was formed and it was resolved that it function as a branch of the Nelson Amateur Athletic & Cycling Club. The Harrier section appears not to have functioned from 1940-44 because of the War, with seven club members losing their lives. Club membership gradually increased over the years and in 1962 a few members formed the Nelson Methodist Harrier Club which was to function for a number of years. The Parker Shield races were originally between these two clubs. The Harrier section of the Nelson club separated from the summer section in 1983, becoming an incorporated body in its own right. The status quo remained until Nelson and Trafalgar harriers amalgamated in 1989 and Nelson City Harriers was formed. 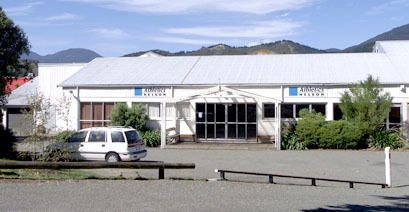 The Cycling and Athletic sections of the club split into separate entities in the early 1990s and in 1998 Nelson City Harriers and the Nelson Athletic Club combined to form the present club, Athletics Nelson. Track and Field records for the following are held on a database on my PC. Club, Centre, Hester Shield, Mahar Cup.